After concluding the regular season with a 23-8 overall record (13-5 in MVC), the Bradley volleyball team is making its first national postseason run in program history. On Thursday, they played Bowling Green State University in the National Invitational Volleyball Championship following an upset in the Missouri Valley Conference Volleyball Championship last week against Drake. 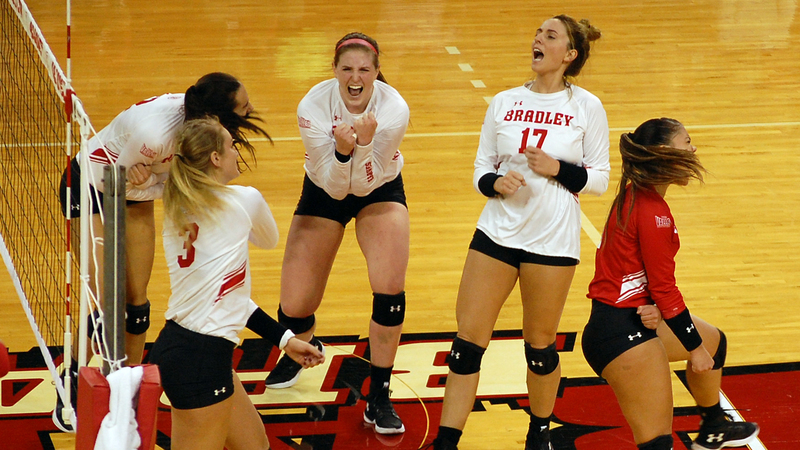 Bradley prevailed over Bowling Green in a 3-2 set win. The fifth set came down to the wire, ending at 17-15. Senior Erica Haslag finished with 29 kills. Following a historic regular season, Bradley finished third in the conference and qualified for the MVC Championship and NIVC. Haslag said the team is really excited to be in the position they are this year. 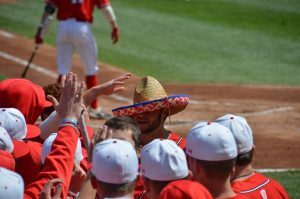 Bradley’s 13-win improvement in 2018 tied for the most wins added in the nation, and their 10 additional conference wins are tied for the best one-year improvement in the MVC. MVC Coach of the Year Carol Price-Torok was pleased with the team’s entry into both the MVC Championship and NIVC. On Thanksgiving Day, the No. 3 Braves faced No. 6 Drake University in the first round of the six-team MVC tournament. The Braves would ultimately fall to the Bulldogs, 3-2. Outside hitter Grace Schofield led the Bulldogs’ run in the first set to win 25-15. The Braves replied with a 25-15 victory of their own in the second set to tie the series, thanks to outside hitter and MVC Freshman of the Year Hannah Thompson. She had five kills and five digs. Drake obtained a 4-1 lead early into the third set, but Bradley found its ground and brought it back in their favor, 7-6, led by two kills from Haslag. The Bulldogs, however, would go on to score five straight points. This lead would keep them ahead of Bradley for the remainder of the set to win 25-23. Haslag noted that Drake’s ability to score unanswered throughout the set is what gave them the advantage. The fourth set was the closest with three lead changes and 11 ties. The Bulldogs obtained a 15-13 lead until Bradley made four consecutive kills and Drake’s defensive specialist Cathryn Cheek made two attacking errors. This gave the Braves the 18-15 edge. Drake pulled the score within one at 22-21. After a Bulldogs’ error, Bradley freshman outside hitter Rachel Pranger followed with her fourth kill of the set. Thompson followed a Drake point with a kill to end the fourth set 25-23. The Braves were forced to play a highly defensive battle in the fifth and final set. 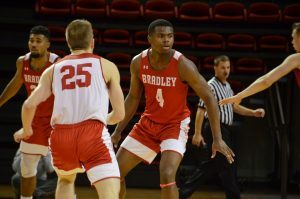 Bradley went on an early 5-1 lead, but Bradley pulled the score back within one point, 10-9, but failed to stop Drake’s offense, which regained a three-point lead, 13-10. From there, the Bulldogs traded points with Bradley to set up match point at 14-11. 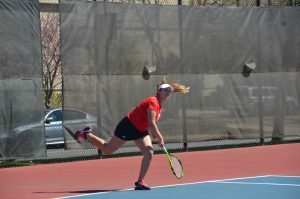 The Braves then held off four match-winning points from Drake. Junior middle blocker Maggie Revell and Haslag highlighted the attempted comeback with kills of their own. Even though Haslag’s 23rd kill brought it back to 15-15, it wasn’t enough after Drake made back-to-back kills to win the fifth set 17-15, eliminating the Braves from the MVC Championship. Notably, Haslag’s final kill pushed her to 501 total kills this season. This is the second season in a row that Haslag has surpassed 500 kills. According to Price-Torok, the team, even with Haslag’s impressive individual performance, knew it would be a close contest. The Braves will take on Iowa State today at 6:30 p.m in the Round of 16 in the NIVC.